If you had to choose one word to describe the late Sir Terry Wogan, you don’t have to look far. Sir Terry was a gentleman. He was never cruel or unkind, he didn’t bully, mock or demean, and he had fans in every part of the country and at every level of society. There were no scandals about his behaviour during his lifetime and you can be sure that there won’t be any now that he’s gone. He will be remembered for all the right reasons: his professionalism, his sense of fun, and his many decades bringing laughter to millions of people. He was helped by his Irish background, because it made him a friendly outsider who wasn’t part of any of the regional and class rivalries on the mainland. His accent made his voice even more musical and interesting – a great asset for any broadcaster and one that took him to the top and kept him there for decades. Through it all one thing was always apparent but never obtrusive: his intelligence. Sir Terry was a well-educated and well-read man, and he might have carved himself a career in the academic world or in politics. I suspect he was too extrovert for academia and too down-to-earth for politics. He enjoyed performing and being in the spotlight, but he always kept his family life private and made sure he had a secure space away from the cameras and microphones. Now he’s gone, his immediate family are mourning and so are his extended family – the millions of fans who watched his television programmes and listened to his radio shows. He first became famous in the 1960s at Radio 1, the newly commissioned pop station, and he applied his knowledge of music to create light-hearted and often very funny commentaries on the Eurovision Song Contest. But the height of his fame probably came in the 1980s with his three-nights-a-week chat-show called simply Wogan. Some big names and formidable egos appeared on the show, but Sir Terry treated them all with the same respect and drew them out with the same skill and humour. There were some memorable guests: George Best appeared when drunk and David Icke, formerly famous as a sports-presenter, made a new name for himself by announcing that he was the Son of God. Sir Terry didn’t blink. It was good publicity and good television, and helped keep Wogan at the top of the ratings. But he couldn’t stay a TV star for ever and as the years passed he turned more and more to a more intimate medium: the radio. His breakfast show on Radio 2 attracted a dedicated following, whom he christened T.O.G.s – Terry’s Old Gits. 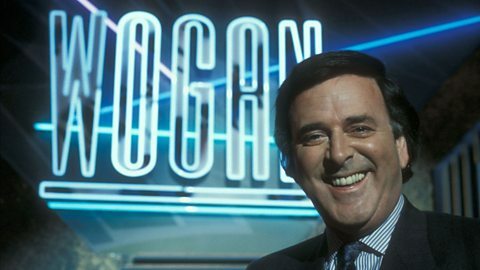 Waking up with Wogan was a daily ritual for millions, as he light-heartedly and light-handedly mixed music, news reports, listeners’ letters and jokes. He was never brash and never tried to show off, and there was genuine emotion in his voice when he signed off at the end of his final show, thanking his listeners for “being his friend”. Now the friend of millions is gone for good, but he leaves a multitude of happy memories and countless hours of broadcasting in the archives. Sir Terry was a gentleman who made the world a brighter and happier place during the brief time he was given. What higher accolade could a human being be given?